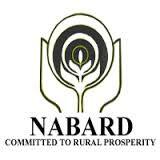 National Bank for Agriculture And Rural Development (NABARD) has released the Preliminary Online Exam Date of its Development Assistants Recruitment 2015. Earlier the organization has invited online applications from eligible Indian aspirants for filling up of 85 Development Assistants posts from 8th October 2015 to 30th October 2015. In a recently released notification, the organization has announced that the Preliminary Online Exam for above mentioned posts will be held on 28th November 2015. Call letters for the same will be available soon.